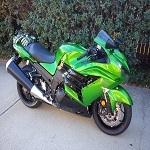 Kawasaki Sportsbike Riders Club - Australia - Online Forum • View topic - WheelieZone! Discuss riding techniques, styles and tips here. Fully sick gixxer mate. Already booked in. Did you end having a go? Nah someone booked a work meeting exact same timeslot so I cancelled. Still planning on heading on over though as soon as I get a spare couple of hours to make the trip. Not sure how long it'll last their online booking system isn't exactly booked out for weeks in advance so I'd recommend you go sooner rather than later. Did session this afternoon. Very happy had a great time learning without the fear of fliping my bike. redmistracer wrote: Did session this afternoon. Very happy had a great time learning without the fear of fliping my bike. Unlike Disco I could only manage 2nd gear keping it up there. We teach you to do a wheelie in stages, therefore each rider will be required to successfully complete each task before moving on the next, this way minimising the possibility of unnecessary damage as a wheelie requires multitasking learnt in stages. How much time do they spend telling you about how too's and what not too do's etc?Is that included in the half hour? Looks like it would be a good experience.As redmistracer said, saves a real expensive weekend of flipping your own bike. As soon as I got the feel of how much throttle to use it became very easy to lift the front and flick through the gears 2nd and 3rd. but holding the balance point took some practice and had I been outside would of needed a trailer to get home. When the front is touching down it needs as much care also, you dont just snap the throttle closed. You roll off but as the front comes down you need to roll it back on slightly so you dont bottom out the forks and/or pop your front tyre. Small carpeted room + hot GSXR1000 running for 30mins = pleanty of liquids lost. There is a fan for the bike which helps keep the temp down but it still runs around 70-80 Deg. "Helmet on, visor down . . . brain off!"